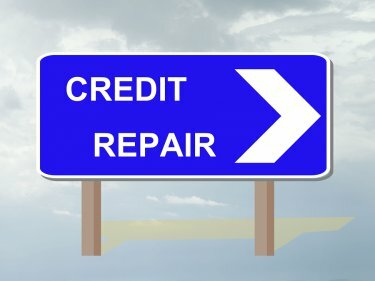 How to rebuild credit after filing bankruptcy. ​A Chapter 7 bankruptcy remains on your credit report for 10 years. That is a long time and requires you to be pro-active in rebuilding credit. Credit impacts more than your ability to borrow money. Bad credit can mean higher car insurance rates, higher homeowner insurance rates, or even keep you from getting a new job. Before the “great recession” many bankruptcy filers used to get a mailbox full or credit card applications right after filing. The credit card companies were all too eager to sign people back up again when credit was open to anyone with a name. Although credit does not flow as freely as it once did the market is starting to loosen back up again. Most debtors who file bankruptcy can still obtain a credit card shortly after receiving their bankruptcy discharge. How quickly you can rebuild your credit has just as much to do with the current market conditions as it does with your credit score number. Before the economic downturn credit was freely given. Immediately after the credit crisis, the market over-corrected making credit difficult to obtain even for those with perfect credit. The pendulum has started to swing back towards the middle, but nobody knows what the future holds. Treat credit cards like a debit card- pay them off in full each month. If you re-affirm car debt make sure you make each payment on time. Save extra money so you can make a larger down payment on that new car. Consider asking someone to co-sign for you. Monitor your credit report to make sure everything is correct.